So I now have Netwalk: Expanded Edition, Netwalker Uprising, Winter Shadows, Shadow Harvest, and Alien Savvy up on Payhip, and links are up on the appropriate book/series pages as well as below. I planned to write more, but then tomorrow’s farrier appointment got moved up to today, so I was at the barn. Yeah. Probably best, due to weather. But hey. I managed to get into a “Stocking Your E-Reader” sale–good until January 2. The second annual STOCKING YOUR E-READER SALE is here! More e-books than you can jingle a bell at, and all .99 or less! Pick the kind of books you want to read, then scroll to the bottom and enter to win some fantastic prizes. Like a Kindle FIRE 6″ in your choice of color with $50 Gift Card to stock it anyway you’d like–and other awesome things. So. Go here to find all sorts of ebooks up for sale, including my Winter Shadows, Christmas Shadows, and Dahlia. Now I’ve got to run. Have a short story to finish and get sent out, plus other stuff. 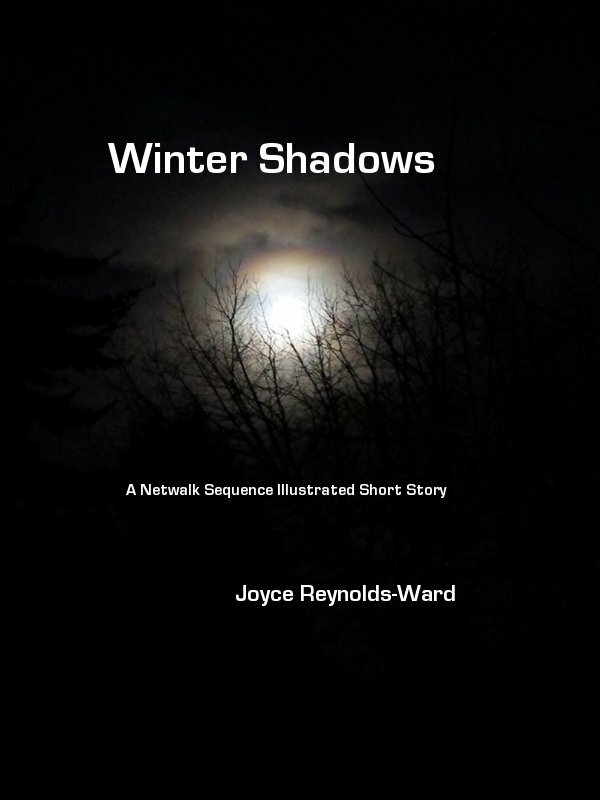 Because it’s Orycon week, I’m offering a special on my two most recent works, Winter Shadows and Shadow Harvest. They’re parts two and three of an occasional series about Diana Landreth, her husband Will, and their development of wireless implant technology which eventually leads to uploaded personalities. With politics and weird weaponry, as well. Anyway. From November 6th through 14th, you can get Winter Shadows for .99 (down from 1.99) and Shadow Harvest for 2.99 (down from 5.99) at Amazon, Barnes and Noble, and Kobo (I think?!). 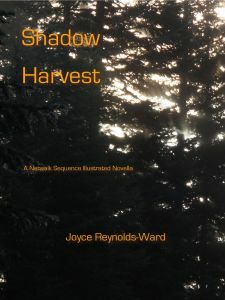 Shadow Harvest is available for 2.99 at Smashwords. Diana Andrews wasn’t expecting trouble when she came home on winter vacation from a difficult bioremediation assignment. But the imprisonment in a hostile country of her lover, Will Landreth, puts not just Diana and Will at risk but possibly her business and her family as well. Can Diana find the help she needs to rescue Will while protecting him from those–including his father–who would see Will silenced? Diana Landreth encounters a witch’s brew of personal, professional, and political problems when she returns home for a quick visit. 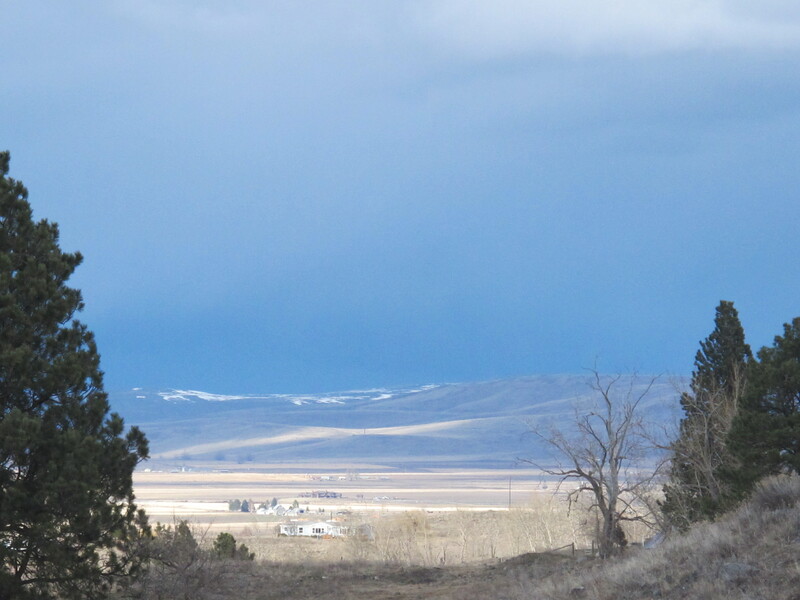 Her dying father’s ranch has been poisoned by an unknown radiological and/or biological agent. The Third Force’s Relocation Affairs office has given him a low buyout bid insufficient to support Diana’s stepmother and young half-sister after her father’s death. Her husband Will continues to struggle with PTSD in the aftermath of his imprisonment in the Petroleum Autonomous Zone. Her mother, Sarah Stephens, and Will’s father, Parker Landreth, engage in a shadow war where Will and Diana may be no more than proxies for higher stakes in a battle for corporate dominance. Can Diana discover the truth about what’s been done to her father’s ranch? Can she and Will enhance their own bioremediation company’s reputation by rehabilitating the ranch while supporting her stepmother and sister? And can they finally overcome the shadows of the past to earn their freedom from their families’ desires? I promise that Shadow Harvest is the last of the “Diana comes home to problems” stories. Comments Off on Orycon Week Specials! It’s been a productive writer and editor week. I finished the first round of edits on a freelance job and sent them back to the author, then got my second round of edits on Seeking Shelter at the End of the World (projected to come out from eTreasures Publishing in October), went through that, and sent it back. Ironically, finishing the first round on someone else’s book and having to go through my own second round happened within 24 hours of each other. Not that this is an issue. I found that I learned a lot from doing that edit on someone else (which is one of my patterns) and working on the other MS made it easier to edit my own. FYI, I’m not banging the drum pretty hard (yet), but I am available for editing services. I find that I like editing. Not surprising, since one of my favorite teacher times was working one-on-one with kids and their writing. I’m in the homestretch for getting Shadow Harvest ready for October publication, and clearing the decks to start writing Netwalk’s Children (at long last). Whew. It’s been a long, hard struggle with both these works. Shadow Harvest started out as Andrews Ranch, but that title really didn’t work. I’m still not happy with my latest cover design, but that’s a skill set I also plan to keep working on. This one is really hard to put together because I have to figure out how to combine both SF and Western elements, and, well, that’s tough. However, since the ebook of Shadow Harvest is going to have illustrations, I’m having fun planning the photos I’ll use. While I took some useable pix last weekend in the County, there are still a bunch more I need if I’m going to insert 2-4 illustrations per chapter. At ten chapters, that’s a lot of pix. As I go through my edits in Scrivener, I’m either scrounging through my collection of digital photos or listing the new photos I have to take–and that’s fun to contemplate as well. Once I finish this pass of Harvest, and get to work on the pix, then it’s time to tackle the outline and writing of Netwalk’s Children. This is a tough book to plan and write, but it’s one that I absolutely have to structure before writing. It’s the middle book of the series; it’s a transitional book between generations; and there’s big stuff that happens. I’ve been advancing and retreating from it for a couple of years now, but it’s going to happen this fall. I’m also planning on expanding and releasing another illustrated short novella in November, called Alien Savvy. It has some connections to the Netwalk Sequence universe but it’s a prequel to everything. Then in December, I’ll release an omnibus of Dahlia, Winter Shadows, and Shadow Harvest. Title yet to be determined. Then I got a pleasant little egoboost when I searched my name during a break. Outside of the unpleasant reality of having to issue a takedown notice to a pirate site, I also discovered that a couple of my professional articles have been copied as references. The one which really tickles me is one that was included in the National Association of Special Education Teacher Special Issue on Learning Disabilities–link is here. I didn’t know about this but it makes me feel good. Alas, unless you have a membership, you can’t see it. Sigh. But it’s about the Patterns of Strength and Weakness identification model for learning disabilities, which is something I strongly believe in. A good day in the writer life. And now for lunch, then barn. Shadow Harvest. I’ve been agonizing over what to call Andrews Ranch for real, because otherwise it sounds too much like a Western instead of science fiction. While there are Western elements (a showdown at the OK Corral-type scene with a war machine in a barnyard), and a quasi-Westernish-theme (saving a ranch from corporate interests), at best it could be titled a Science Fiction Western. Yeah. 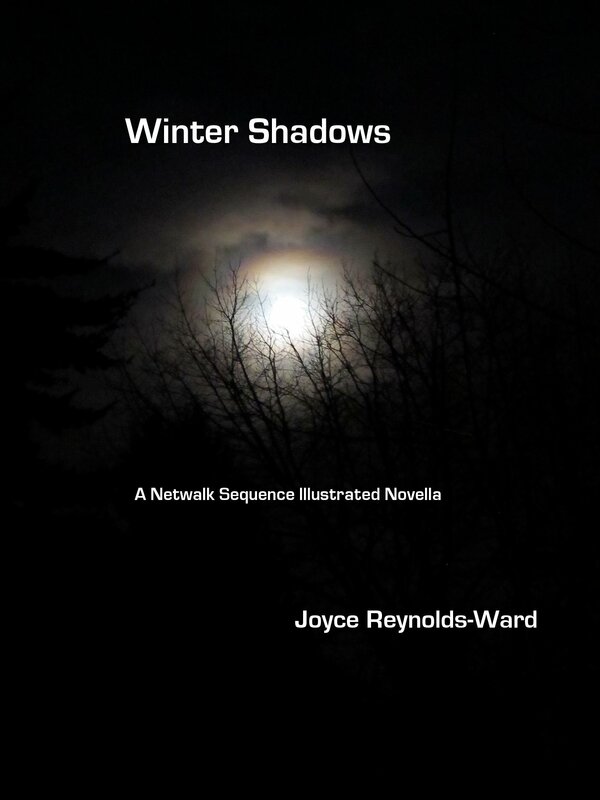 I kept thinking about its predecessor and twin story that I’m going to include to make up the omnibus I plan to publish in December, Winter Shadows. My original plans for that omnibus were to include Dahlia, Winter Shadows, and Andrews Ranch. But while Dahlia is part of the whole Will and Diana sequence, it really doesn’t fit except as a precursor to the other two stories. 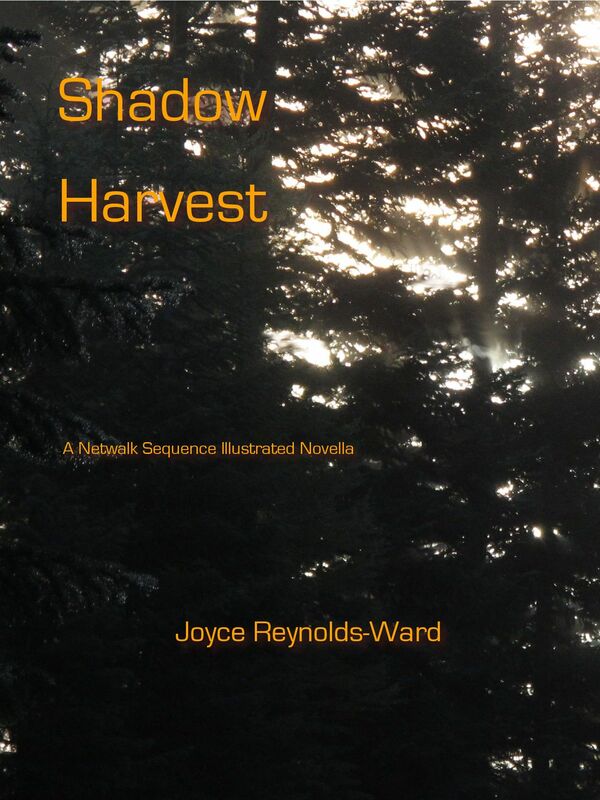 What happens in Winter Shadows comes to fruition seven years later in Shadow Harvest. So I’ve decided that the omnibus will be those two stories instead. That’ll be plenty, and there’s a title and thematic connection (the omnibus will also come out in a CreateSpace version). And I do have a cover pic. Just haven’t made the cover yet. Now it’s time to go back and discreetly insert some connections to Winter Shadows. Then off to the barn, meet up with a friend, then come home and work on an editorial project. The days are just packed around here. 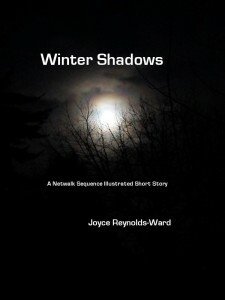 Just finished the rough draft of Winter Shadows, at about 16,500 words. There’s a few white room sequences, so my guess is that the rewrite will come in at about 20k. A nice short little novella, should be ready to go out about the New Year’s, depending. But for now, a few tweaks on it tomorrow, and then it rests for a few days (after I compile it in Scrivener, that is). Then I figure out pictures and all that other jazz. So be watching for the announcement around January 1. So all along in the Netwalk Sequence continuity, I’ve held that Will and Diana got together in the face of parental opposition to their relationship–his father and her mother both being passionately opposed to the marriage. As recently as The Daughters Cycle this past summer, I had Diana leaving Stephens Reclamation to found Do It Right when Sarah discovers that Diana is still dating Will (this is a world where corporatism extends into family life and relationship, including the founding of corporate dynasties). I have some lovely emo stuff lying around the hard drive to that effect. And then I started writing Dahlia, Winter Shadows, and Problems at the Andrews Ranch. All of these stories deal with the early relationship of Diana and Will as well as the foundational period of Do It Right. While there is some estrangement that happens between Diana and Sarah as a result of Diana’s choice of Will, as I’ve been writing Winter Shadows, I have come to realize that it’s not opposition because of who Will’s family is and all that leads to the eventual estrangement; it’s due to other reasons. Diana and Will disagree with Sarah and to some extent she ends up getting co-opted by Gizmo–along with Francis. It’s just that Sarah breaks free while Francis embraces it. Arrgh. Originally these stories were just filler that I was going to write before plunging into Netwalk’s Children. But now I’m realizing I’m writing crucial backstory that needs to exist before I can start Children. I’m starting to understand just how revolutionary Melanie’s rebellion against Diana was at the end of Netwalker Uprising–and why Sarah condones it–and why Bess ends up being such a huge game changer. Yikes. “What my daughter said,” her mother added. Her mother straightened up. “I suggest you tell your staff to stand down.” Her voice matched Parker’s for chill. “Or I’ll shoot,” Peter’s voice came from above and behind Diana, to her right. The click of more weapons being armed resonated from around them. How the–Stealthsuits. That’s right. He’s been researching stealthsuits with Francis. The question as to how and why Landreth Security hadn’t detected the stealthsuits could be answered later. So one interesting piece I’m noticing about putting up these snippets from the WIP is that with both of them so far, I’ve noticed glaring errors I’ve had to correct. With the first one, I had to specify that Diana’s headset had limited vocal com access settings–of course if you’re wearing a headset, you’ve got com ability! Yesterday’s blooper had Diana holding a blaster just as the skimmer she was in took off for high-G evasive maneuvers. Um. Yeah. Oooops. Movement. Her mother put the tablet down steadily, precisely, locking it into secured position. The slow, careful motion alerted Diana. Maybe they’re coming to help– Diana dismissed that notion quickly. Not if they wouldn’t ID themselves. Francis spit out a series of code phrases she couldn’t identify over her com. The com suddenly went silent, dead silent. Then their skimmer shot straight up, pulling some Gs and pushing Diana down hard in her seat. It banked hard and tight, and then accelerated, faster than typical for most skimmers. Of course. Mom would have the highest performance skimmer she could get her fingers on, then mod it up. An impact knocked them sideways. The skimmer rolled. Red lights flashed in the passenger cabin as a warning buzzer screamed. Clamps snaked across Diana’s forehead, thighs and arms as the skimmer rolled again. Diana made herself breathe. In. Out. In. Out. She forced herself to relax against her restraints, remaining loose in case of further impact. Tense muscles would make things worse. The skimmer stabilized, plunging down hard. The buzzer stopped blaring and the lights held steady. What the–? Did Landreth just shoot at us? The skimmer leveled and rocketed off faster than before. Her restraints eased slightly but did not release. And now back to writing…. Of course I have to get ready and head off to work, just as the writing starts getting good and exciting. Only 955 words today, damn it. Snippet from today’s writing. Mother and daughter are in–kind of a bind here, to say the least. Movement. Her mother put the tablet down steadily, precisely. The slow, careful motion alerted Diana. Francis spit out a series of code phrases she couldn’t identify over her com. The com suddenly went silent, dead silent. Then their skimmer shot straight up, pulling some Gs and pushing Diana down hard in her seat. It banked hard and tight, and then accelerated, faster than typical for most skimmers. Diana’s hands tightened on the blaster in her lap. She sat silently, waiting. Something knocked them sideways. The skimmer rolled tightly three times, then stabilized, plunging down hard. That moment when it starts to come together…..